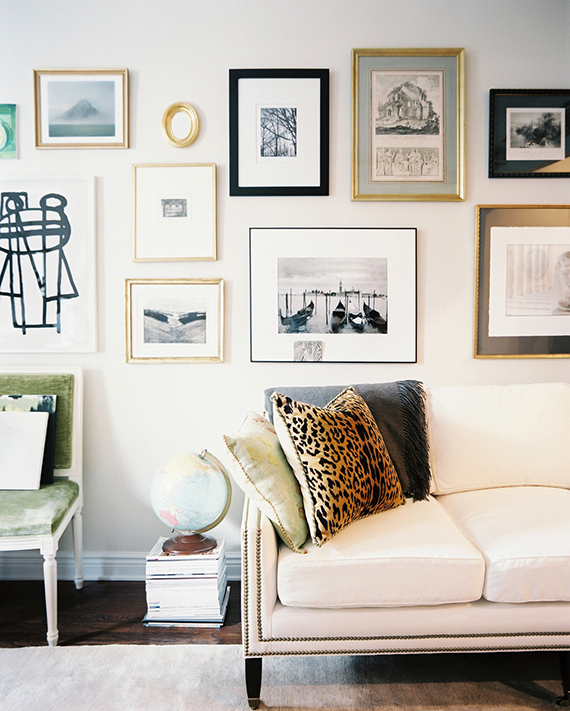 There are only a million ways to create an interesting gallery wall. Mixing various frame finishes, sizes, art styles and artists is definitely a great place to start. But if you're looking to take your display into a whole new level, why not try mixing non framed accents as well? We've seen this trend going on quite some time now and it gets even more exciting, with all the new ideas being shared by talented designers, stylists and bloggers over time. By combining favorite objects, like a travel souvenir, a handmade project or a heirloom piece with frames one can easily create a unique and exquisite gallery with personalized references. Moreover, decorative objects can add depth, texture or bling thus make the finished result way more interesting to the eye. Here's a list of 12 ideas you can use for your own personal wall but, rest assured, there are plenty more things one can add to this list. What do you think? 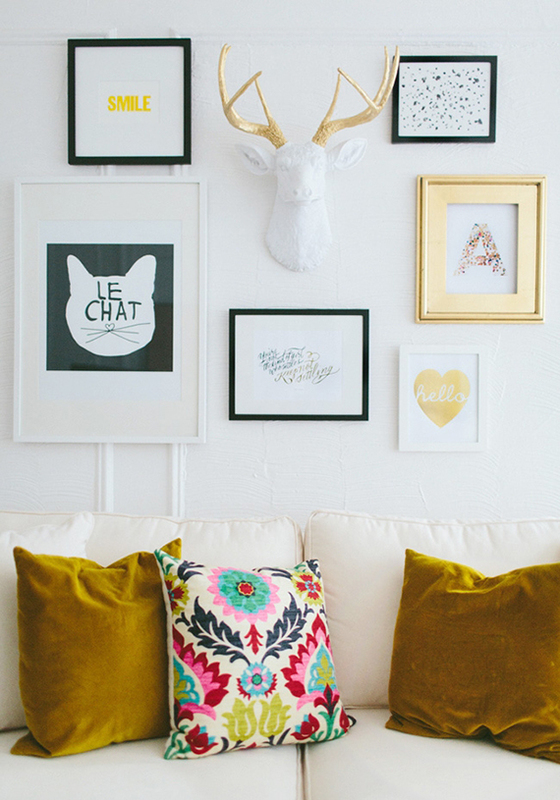 Would you use any of these as part of your gallery wall? Some more ideas that didn't make it on the list: 3d letter, candleholder, vintage collections, wreaths, hooks, trays, scissors, dream catchers, e.t.c. P.s. Find loads of art wall galleries inspiration here. 5 comments on "12 alternative ideas to hang on a gallery wall"
Eleni thanks so much, i'm very glad to be among your great collection. :) Your prints are so cute!